Thinking about getting a dog for your family? If you are like many, you may be considering buying a dog from a pet store or breeder. However, before you make a decision, consider the benefits of adopting a shelter dog. Though pet store or breeders’ canines may seem the more advantageous choice, rescue dogs can be equally rewarding and perhaps an even better addition to your family. Here is why you should adopt a shelter dog. 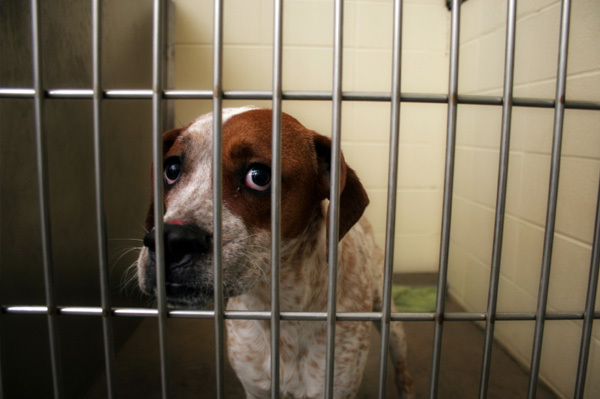 How do dogs end up in shelters? Each year millions of innocent dogs and cats are tortured, neglected, abandoned, and abused. These “castoffs” or strays struggle to survive under stressful and, often, horrific circumstances – alone at the mercy of the elements, without food or water, without the care or aid of human beings, without love and compassion, and without hope of companionship, friendship, help, or support from people. Ultimately, these animals end up in municipal animal shelters or welfare organizations, and if they are too weak or ill, or in any way display aggressive behavior (keep in mind that they are terrified and traumatized in their new environment), they will be euthanized. Some of the animals in animal shelters or rescue organizations have been born and raised in puppy mills and never experienced life outside a crate. Others are the inadvertent victims of greedy and irreputable backyard breeders. Others have been someone’s family members and have been surrendered to an animal welfare organization or shelter because of various reasons (i.e., divorce, separation, relocation, financial loss and so on) that we may never comprehend. There are many reasons to adopt a rescue dog rather than purchasing one from a breeder or pet store. Many people assume that if they buy a dog from either of these sources, it will be healthier and sounder. This is a misconception, as many dogs sold to pet stores come from puppy mills where, until they are sold, are kept in deplorable conditions, confined in crates that are small and cramped and piled upon each other, fed inadequate diets, given dirty or contaminated water, and provided with little, if any veterinary care. Having adopted many rescued puppy mill dogs myself, I have experienced the many serious health and behavioral issues these poor dogs encounter. Many people assume that if they adopt a dog from a shelter, there must be something wrong with it. This is not true at all. Many of the dogs that end up in shelters are there simply because their human owners have been ignorant, cruel, lazy, irresponsible, and neglectful. These owners regard their dogs as chattel rather than as sentient, loyal, and loving friends and family members. Neglectful or abusive owners do not provide their dogs with attention, interaction, socialization, or obedience training, and have not treated their pets with the respect, appreciation, and love they deserve. In many cases, the dogs surrendered to shelters have been the loving and loyal members of a family and now find themselves not only in an unfamiliar environment but also restrained in a “cell” or kennel with many other frightened, barking, growling, anxious, yipping, and howling dogs. Imagine the stress and terror they must feel! It is very fulfilling to save a life and watch it blossom and flourish with love, care, appreciation, and respect. Rescue dogs have the ability to lift your spirits as well as improve the quality — and increase the longevity — of your life. The health benefits associated with adopting a companion animal like a dog are many and even scientifically substantiated. Your furry friend will benefit both your physical and emotional health. A rescued dog knows he has been “saved” and is grateful, loyal, and unconditionally loving. He is eager and content to become a beloved member of your family. Adopting a rescue dog may require more time, attention, effort, and patience from an adopter than a dog that has not been abused or neglected. However, the joy and gratification to be derived from saving a dog in need are boundless.